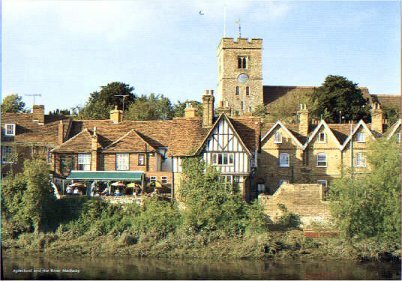 Aylesford is a beautiful old Kentish village, only 2 miles from the centre of Maidstone on the River Medway and Aylesford Priory, or 'The Friars' was founded in 1242 by a returning crusader (hence the vintage motorcycle link Royal Enfield), who gave a group of monks a small piece of land at his manor of Aylesford. Today it is still a functioning monastery. It was to this very ancient and peaceful location, with its extensive event field, that the 24th VMCC International West Kent Run again descended upon for the weekend of Aug 2-3. Nearly 700-800 classic motorcycles were present on the Sunday for the static displays, auto jumble, gymkhana and avenue of clubs. Although the early morning ride there was extremely wet, by about 10:30 we had started to dry out and the field filled with visitors. The JAWA CZ Owners Club was once more given a free plot and admission for 8 machines and we fielded a small selection of bikes. 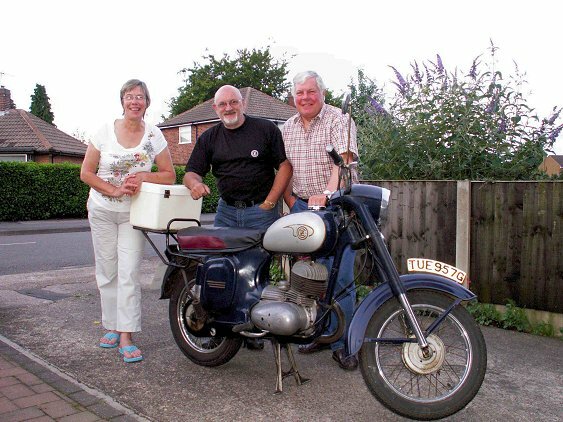 My CZ 175 450, was joined by Gordon Dickson on a CZ 250 Twin, Tony Walters with his Jawa 638 Combo, and Mike Way, who travelled from West Sussex ,with an immaculate 1973 CZ 175 Trail which attracted considerable interest and had lots of photographs taken. We had a steady stream of visitors all morning and into the afternoon, including several clubs members who came on other makes, plus my colleague Kees Pronk from Holland who also again decided to risk his MZ rather than his CZ! Many thanks to Tony who not only supplied a gazebo to keep us dry, but also tea, coffee and display boards for me to mount club information on. We gave the website a big plug on the largest board! The event finished in the late afternoon and I had a pleasant dry ride back to Pembury and the 450 ran perfectly despite its earlier soaking. Lets hope when we return next year, the weather will be better. My theme was family, friends and Owners Club. 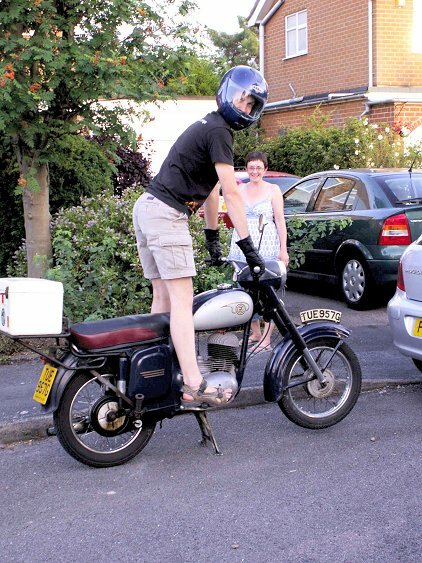 I rode my 1969 CZ 175 Model 450 to visit the JAWA CZ Owners Club webmaster Chris Baddiley and my daughter, Jude. I then visited club members Ray & Norma Burgess Lowe (both active in the BSA Owners Club and often photographed at their events). 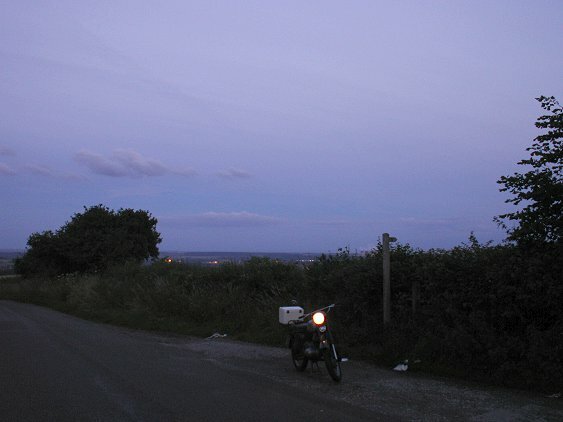 On the way home I stopped to take the shot by moonlight. I arrived home at 22:15 hrs. Was I the last man riding in 2008? Pete Edwards Secretary & Spares Officer.